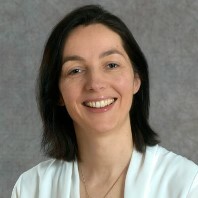 ID Epi Seminar Series: Anne-Catrin Uhlemann, MD, PhD, Columbia Univ. Biography: Dr. Anne-Catrin Uhlemann is the Florence Irving Assistant Professor of Medicine in the Division of Infectious Diseases in the College of Physicians and Surgeons at Columbia University. Her laboratory investigates the evolution of bacterial pathogens such as Staphylococcus aureus and carbapenem-resistant Klebsiella pneumoniae.